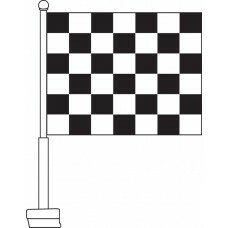 Our car window flags are made of durable knitted polyester and are finished with heavy duty 20-inch tall polypropylene window staffs. 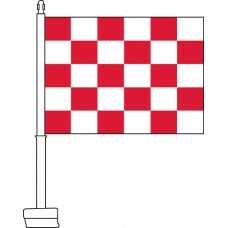 Each flag measures 11 x 15 inches, making them larger than the flags offered by most competitors. The knitted polyester is selected for its durability and low cost, while our durable plastic staffs are designed to be very sturdy so they will not bend or break in shipment. 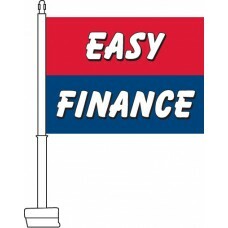 Our car flags are printed with the highest quality dye-based inks available. 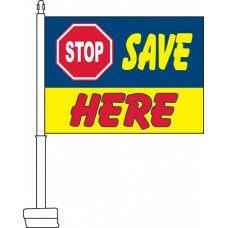 This ensures maximum fade resistance and vibrant print quality. 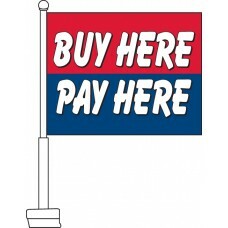 In contrast, some competitors seek to cut costs by using inferior printing techniques such as digital printing, sublimation, or screen printing with inferior pigment-based inks. 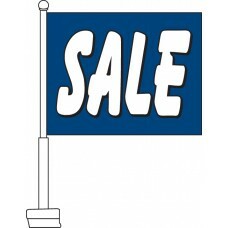 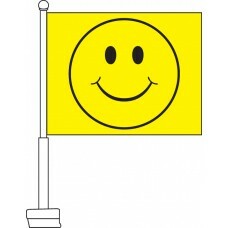 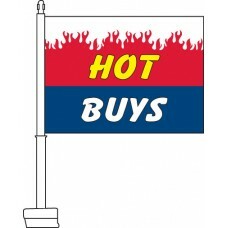 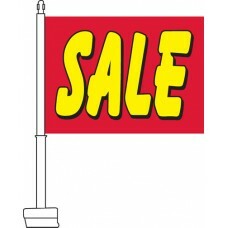 Car flags are en excellent sales tool for car dealerships. 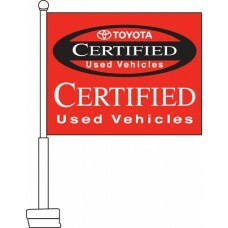 They can be used to enhance the appearance of individual cars or to decorate an entire lot of vehicles. Auto dealerships can use car flags to provide vital sales information about the vehicle, highlight special offers, or create an attractive visual presentation on your lot. 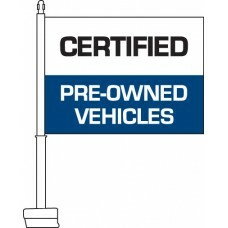 This can prove critical in persuading prospective clients to purchase a vehicle. 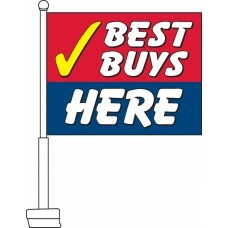 Most car dealerships find that car flags attract attention due to their vibrant colors and movement in the wind. 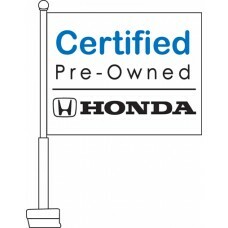 Moreover, they are easy to install or remove during a test drive and do not cause any damage to the vehicle. 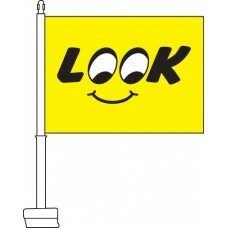 Put simply, car flags are an excellent, cost-effective tool to drive up your sales numbers. 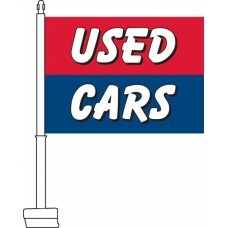 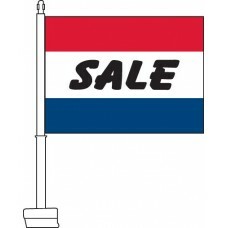 Our USA car flag design is our most popular for car dealerships and individuals alike. 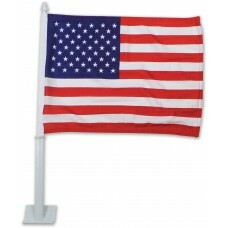 They can be used to enhance the patriotic decor of a dealership or by individuals looking to proudly display their USA-pride on their personal vehicle. 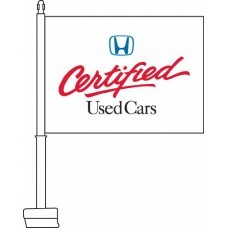 American car flags can be displayed all year round, but dealerships and individuals often like to display their patriotism on special patriotic occasions, such as July 4th and Memorial day. 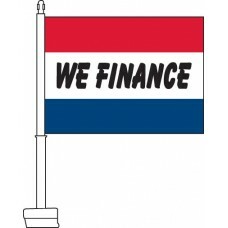 We are the largest factory-direct importer of car flags on the east coast. 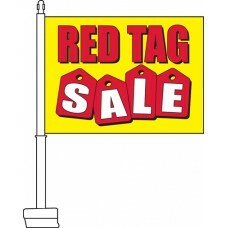 Take advantage of our huge selection and factory-direct pricing!